Chrysler's "uConnect" ties together multimedia and Bluetooth technology that's not quite as interconnected as Ford's MyTouch systems, but ultimately, its plainer interfaces are simpler to learn and use on first try. Practical without being too prim, the 2012 Dodge Journey cuts an interesting figure and spans the gulf between compact crossovers and family-grade SUVs. Back in the 2009 model year, the brand-new Dodge Journey had only made it halfway to its intended destination. Pitched as a seven-seat alternative to the company's bigger family minivans, the crossover was on target for size, flexible seating, and sheetmetal--but lacking severely when it came to a quality interior or a modern six-cylinder powertrain. With its major issues solved in a makeover last model year, the 2012 Dodge Journey arrives with very few changes included, or needed. The Journey's a good-looking crossover vehicle, one that walks a smart line between blocky SUVs and tall wagons. The Dodge crosshair-style grille works here--it translates down in size much better than the chrome boomerangs on some luxury cars, for example--and the slight taper to the rear end give the Journey a pert look that sets it cleanly apart from Dodge's bigger utility vehicles, while it still looks harmonious with the humongous Durango. The new interior that came along in the 2011 model year is a wonderful triumph of plastic over plastic. The first-year Journey's brittle, grainy dash and its oddly misaligned, cheap-looking gauges were junked, and the new dash couldn't be more sophisticated. Big new dials and knobs and an LCD touchscreen are framed by much higher-quality materials, with only a couple of minor gripes created in the wake. The new center console cuts down on knee room a little, and some of the ancillary switches embedded in the metallic trim are tough to find and use without distraction. The Journey's pricetag starts well below $20,000, and to keep it there, Dodge offers a basic powertrain consisting of a coarse, loud four-cylinder engine with 173 horsepower, teamed to a four-speed automatic. If it sounds like vintage early-1990s technology, it's because it is. Acceleration is dawdly, and even fuel economy struggles to beat out the much more desirable V-6. A 3.6-liter now found across the Dodge lineup, this engine produces 283 horsepower and is hooked up to a new six-speed automatic for much better responsiveness in this moderately chunky vehicle. The six-speed automatic can take some of the polish off the package, though: in some versions we've driven, the automatic juddered and hesitated before it downshifted. The Journey's handling is reasonably responsive. Last year Chrysler reworked the suspension to include stiffer, better-responding shocks and a lower ride height in front, and it's honed some of the Journey's duller responses. The ride quality remains a strong point, with the proper damping and roll control for a family vehicle, but the very light and very quick steering feel leaves a lot to be desired. Unchanged in terms of interior room and function since it was introduced, the Journey seats up to seven passengers. We think three adults will be too close for comfort across the second row, but three kids will fit easily in the middle row, as will two in the way-back. The front rows of seats have flat-feeling bottom cushions, but ample head and leg room, taking good advantage of the Journey's size proportions. On some Journeys, the middle-row seat moves fore and aft to boost leg room or cargo room; on those same models, the front seats have hidden storage under their bottom cushions to complement the deep storage in the center console, found under its tilt-and-slide top. Bins and cubbies abound in the Journey, in fact, and its cargo space hits 37 cubic feet when the second-row seat is folded down. 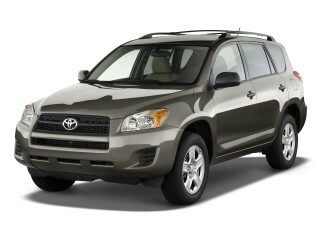 With all three rows of seats in use, though, cargo space shrinks to 10.7 cubic feet behind the raised third-row seat. Flip everything down behind the front seats, and you can fit a half-dozen flat-screen TVs in the Journey's 67.6 cubic feet of space. The Journey sports some of the most extensive offerings for entertainment in this class, but to get them all, you'll be spending considerably more than $20,000. A new base model for 2012 is configured as a five-seater with power windows, locks and mirrors; air conditioning; cruise control; pushbutton start; a cooled glove box; a telescoping steering wheel; and an AM/FM/CD player. Options include a not-terribly-intuitive Garmin navigation system with voice-command controls; Sirius Satellite Radio, TravelLink and Backseat TV, an on-the-go service with a small selection of kid-friendly programming; a new DVD entertainment system; and a premium audio system and uConnect multimedia with MP3 player controls. A USB port is standard now, but it's buried deep in the center console, so there won't be any texting and driving without a long cable. Bluetooth is added on the top three models for free, but it's available on the base trims, too. A bit of butch detailing gives real Dodge character to the Journey crossover, without going overboard on the attitude. Last year's revamp of the Dodge Journey crossover didn't alter many of its sheetmetal details, and saved most of the hard work for the interior. 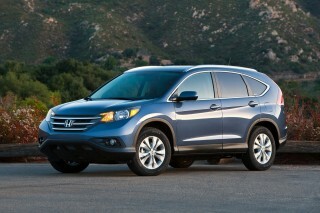 That's exactly how it should have been, and for the 2012 model year, the Journey's left its crisp good looks alone. The Journey's still a station wagon at heart, but the few overt sport-ute cues it wears come off very well. The smartly embossed fenders, straightforward crosshair grille, and square-shouldered stance give it a faintly athletic look--probably as much to do with its compact size as anything else. From a brand not known for balanced styling--Viper, Challenger--the Journey's ratio of glass to metal, metallic trim to paint, all seems to be worked out to an ideal. Chrysler wisely junked the Journey's interior for the 2011 model year. The old dash truly belonged on a junk heap--it was filled with oddly tilted, squared-off gauges and slick, brittle plastic that evoked the worst memories of the old Omni hatchbacks. Now, open the Journey's door, and a bolt of metallic trim directs you quickly across a more softly sculpted dash, with suave finishes and tight fits. The contoured center stack gets mixed in with round cut-tube gauges and a blocky steering wheel, and it all hangs together, along with a big LCD screen (on some versions) and no-fuss climate controls that ride sidesaddle on that strip of bright trim. The new interior still makes lots of contact with front-passenger knees, but it's knocked out the cheap feeling entirely. The V-6 Dodge Journey has good acceleration, and handling is better than ever; we'd pass on the base four-cylinder, though. 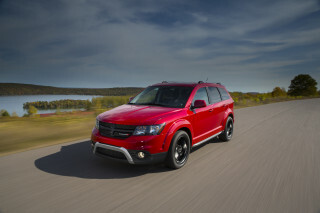 If you're looking at the 2012 Dodge Journey and see the four-cylinder on offer, keep moving. It's the V-6 version you really want, though it's a few thousand dollars more than the value-priced base model. That base edition has a dated powertrain that feels its age. It's a four-cylinder with a four-speed automatic, a combination that doesn't offer a lot of urban swiftness or enough gears to produce great gas mileage numbers. 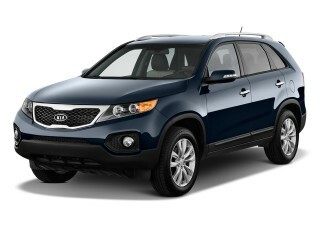 Skimp elsewhere in your budget, and choose the V-6 engine that was introduced in the 2011 model year. It's a 283-horsepower, 3.6-liter V-6 with good midrange power and better noise and vibration control all over the powerband. It doesn't quite feel as strong as its power rating implies, but it's leaps and bounds better than the hoary old V-6 it replaced. We're still waiting to drive more examples of the latest Journey. In a first drive last year, the new six-speed automatic transmission wasn't flawless. We sensed some shudder and judder in shifting that felt a round or two short of refined. The transmission's brain seems to doubt your need for a downshift, taking its time to execute the gearchange and locking fully into gear after a second or two. The manual shift mode doesn't respond quickly to your commands either, and it's actuated from a console-mounted lever--which means taking a hand off the wheel when you want to drive briskly, which is exactly the opposite of how it should be. The Journey's handling is better than it was, and that's more than decent. In its 2011 redo, the Journey's shocks were stiffened and its ride height lowered, both of which help it feel more sporty. The steering is very quick for a family vehicle, and doesn't deliver the feedback it needs. Ride quality remains a strong point, however, with the proper damping and roll control for a family vehicle. Braking is strong, and wheel sizes range from 16-inchers on base vehicles up to optional 19-inchers. We say vanlike in the best possible way here: the 2012 Dodge Journey has flexible seating with good passenger space, and plenty of small-item storage in unexpected places. It got a new interior last model year, but the Dodge Journey's tidy packaging hasn't changed since it was new for the 2009 model year. For crossover shoppers, that means more of the same: good seating for a full-size family without full-size parking drama. The Journey's cabin is sized just right for four adults, or a pair of parents and up to five kids in tow, thanks to a small but usable third-row seat. In front, the seats aren't too supportive laterally, but head and leg room are good, with just a few millimeters given up to the shapely new console and taken from front passenger knee room. Two adults also will fit comfortably in the second-row seat, and so will three children. On some versions of the Journey, the second-row bench slides fore and aft, to flex cargo or passenger space as needed. This bench seat also can be configured with built-in booster seats, eliminating the back-and-forth from one family car to the other. The fold-flat third-row bench really is only sized for small children, but tucks out of the way neatly when it's not needed. Bins and cubbies abound, and the cargo hold specs out at a swell 37 cubic feet behind the second row, and a smooshed 10.7 cubic feet behind the raised third-row seat. Flip everything down behind the front seats, and you can fit a half-dozen flat-screen TVs in the Journey's 67.6 cubic feet of space. Higher-grade Journey crossovers also have storage bins tucked in beneath the front seat cushions, and the center console now has a tilt-and-slide top. The interior's a huge improvement in touch and feel, and the cabin feels tight and quiet compared to other on-a-budget crossovers. The 2012 Dodge Journey performs well in federal and insurance-industry crash tests, and has some key safety options available. Before its recent extreme makeover, the Dodge Journey turned in excellent safety scores--one of the few reasons to choose it over more up-to-date wagons. Now that it's been improved heavily, safety still is among the best in its class. 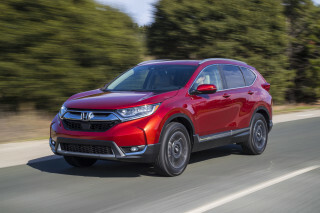 The National Highway Traffic Safety Administration (NHTSA) gives the Journey an overall rating of four stars, with a five-star individual score for side-impact protection. The Insurance Institute for Highway Safety (IIHS) reinstates the Journey's Top Safety Pick award, which had been held back while the agency rated the crossover's roof-crush protection. Every Journey comes standard with dual front, side, and curtain airbags; stability and traction control; active head restraints; and four-wheel disc brakes with anti-lock control. We recommend the optional rearview camera and parking sensors, though they're not available on the base version at all. Chrysler is unique in offering integrated second-row child booster seats on the Journey, on all models. The base 2012 Dodge Journey is reasonably well equipped for its low base price; you'll spend up to $30,000 for its class-leading connectivity options. It's reasonably well equipped even in its base form, and the 2012 Dodge Journey has some infotainment options you won't find on any other crossover vehicle. The standard-equipment list for the Journey includes the usual features. Air conditioning makes the list, and so do cruise control; a telescoping steering wheel; power windows, locks and mirrors; and an AM/FM/CD player with MP3 playback. A cooled glove box is also standard, and it's one of the standout features that gives the compact Journey some distinction in the vast sea of family wagons. A USB port is also standard, but it's tucked away deep into the center console, in front of the shift lever. Consider it a safety feature, so long as your cable is short. 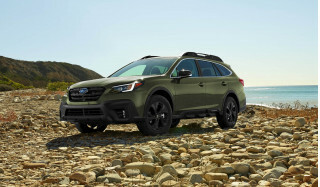 Step into higher-trim Journeys and you'll add features like premium sound; keyless entry; leather seating; and hide-away cargo bins under the seats. Bluetooth and satellite radio are available on most trim levels, and standard on top-line editions. Chrysler goes well beyond the usual offerings in the class for the Journey's infotainment options. There's a Garmin navigation system, which isn't as intuitive as some of its other offerings, and real-time traffic information and other data services. A DVD entertainment system for the rear seats is available. Then there's Backseat TV, a trio of streaming entertainment channels with kid-friendly programming. Chrysler also builds in voice control with some of the audio system functions, but it's a more limited system than, say, Ford's SYNC. 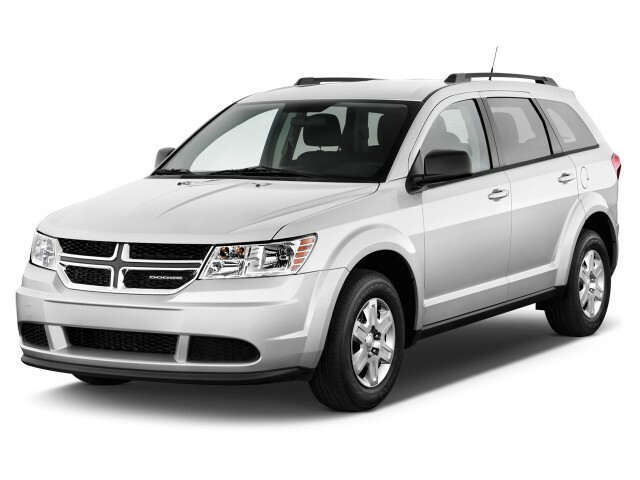 Gas mileage isn't a strong suit, but especially in V-6 versions, the 2012 Dodge Journey is at least in the ballpark. Gas mileage isn't exceptional in the seven-passenger Dodge Journey, but it's solidly within the average range, even for the recommended V-6 models. 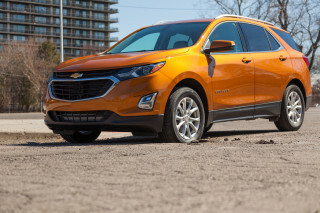 The basic four-cylinder found in base Journey crossovers isn't our favorite powerplant, but it does produce the highest fuel economy numbers in the lineup. Only available with front-wheel drive and with a four-speed automatic, this Journey turns in an EPA rating of 19/26 mpg, significantly lower than what's on offer in a manual-gearbox Kia Sorento, even lower than the new Sorento with direct injection (it's rated at 22/32 mpg). In the V-6 Journey--the version we recommend--the numbers are lower, but more competitive with the Sorento, the Journey's most direct competitor. Front-drive Journey crossovers earn an EPA-rated 17/24 mpg, and with all-wheel drive, it's still figured at 16/24 mpg, just a couple of miles per gallon on the city cycle lower than the Kia. No hybrid or diesel versions of the Journey are promised, and a fuel-saving dual-clutch version that had been planned long before Chrysler's acquisition by Fiat has been axed. Vehicle is good but the engine does not have enough horsepower for the size of the car. 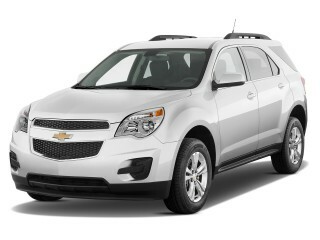 Vehicle is comfortable, roomy and handles quite nice but it is underpowered. Thus has great problems on hills and does not react very well.